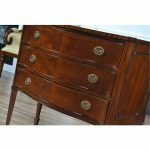 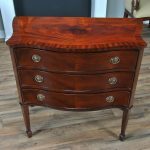 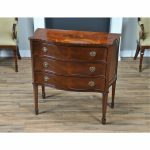 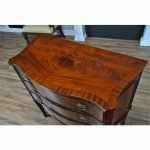 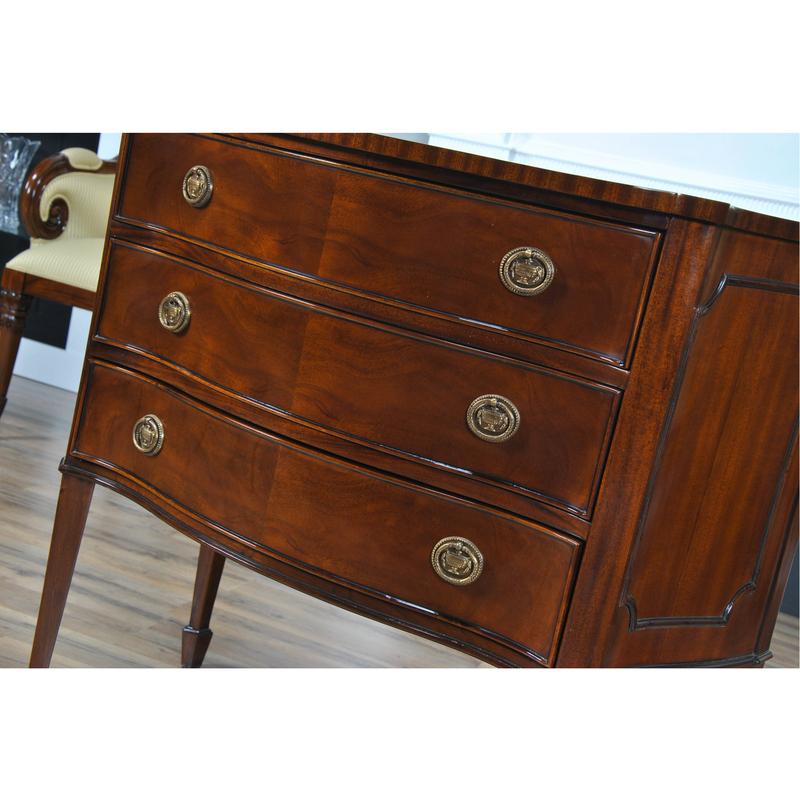 An excellent quality Mahogany Hepplewhite Chest by Niagara Furniture with serpentine shaped front, dovetailed drawers and solid brass handles. 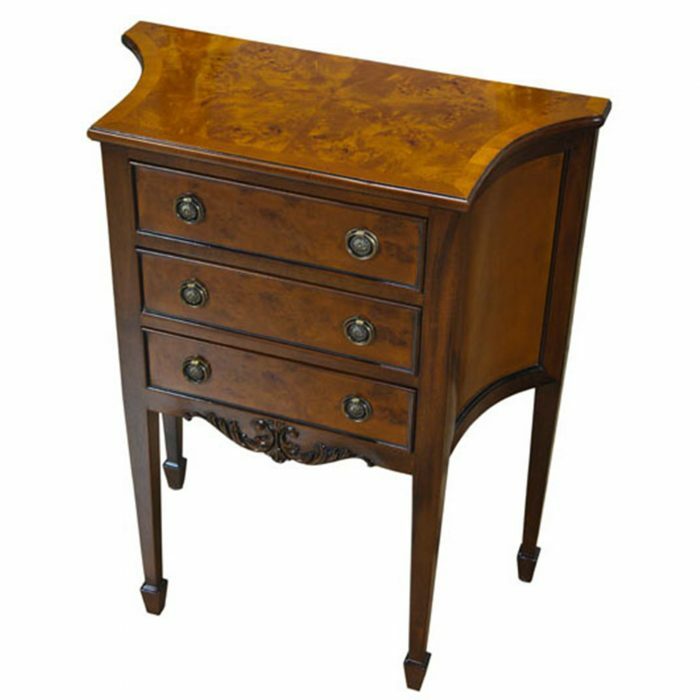 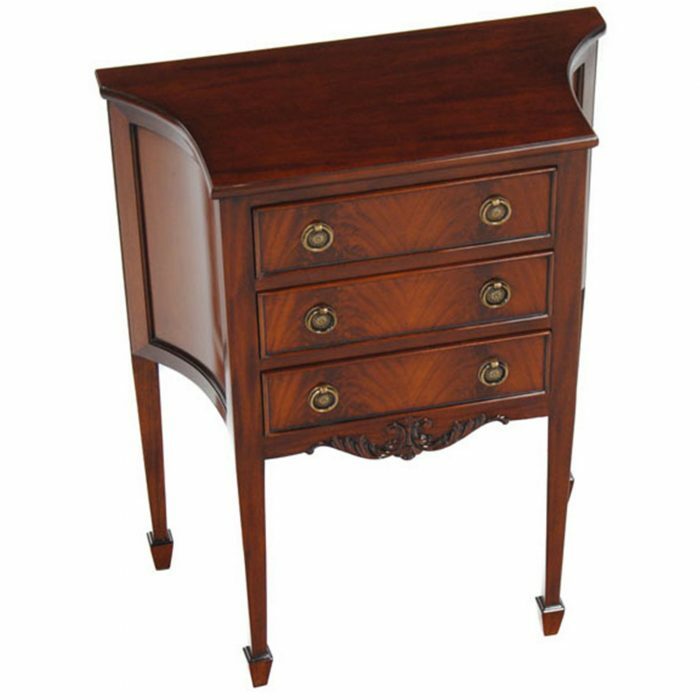 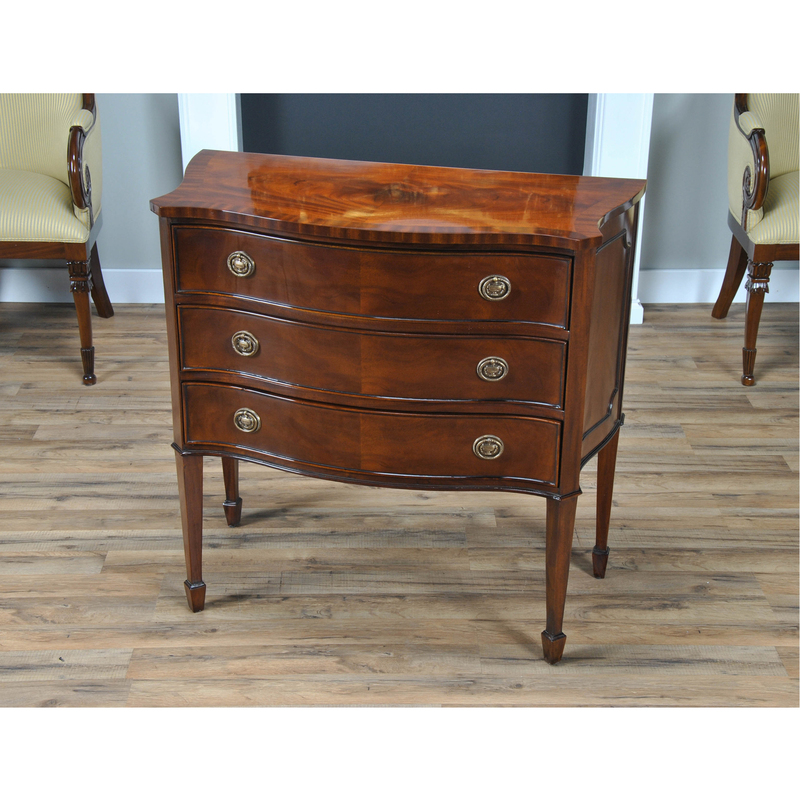 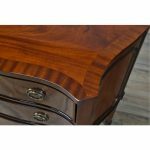 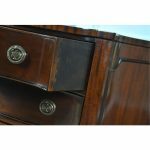 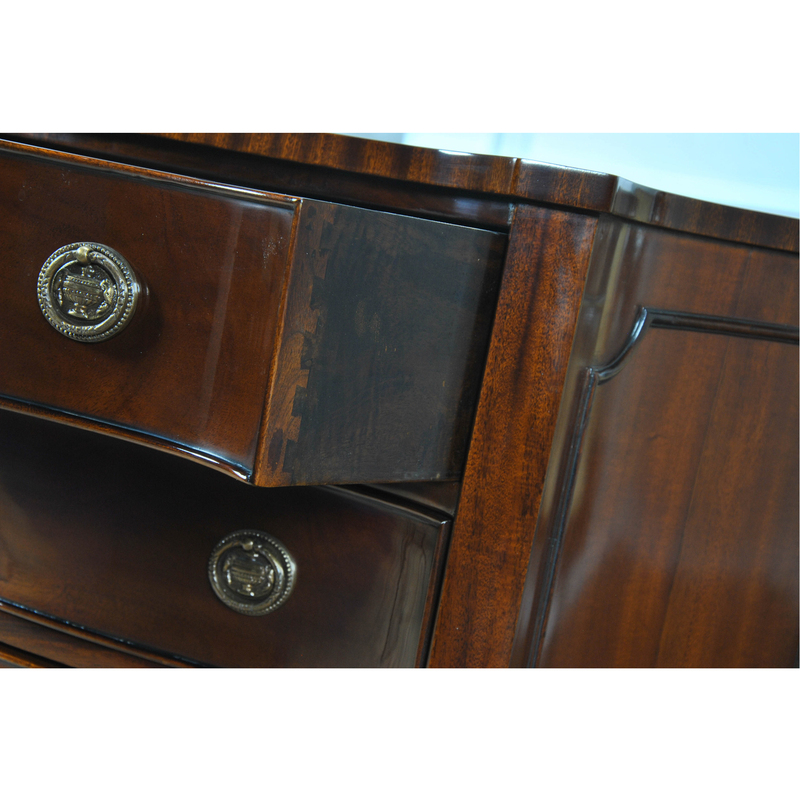 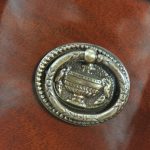 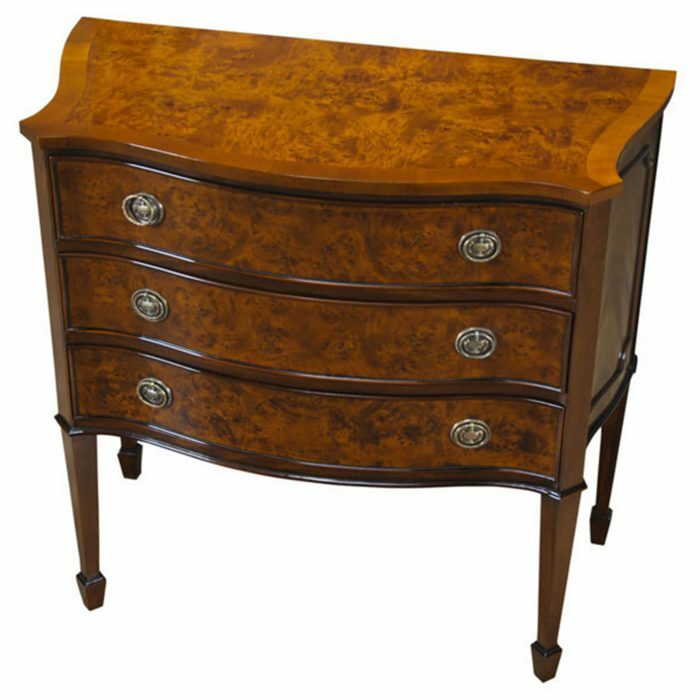 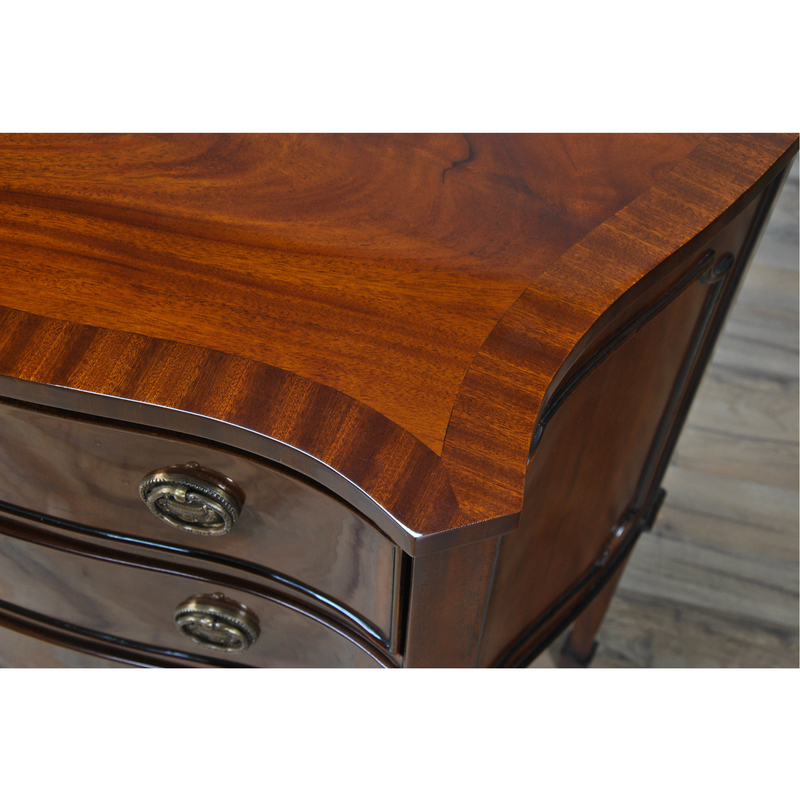 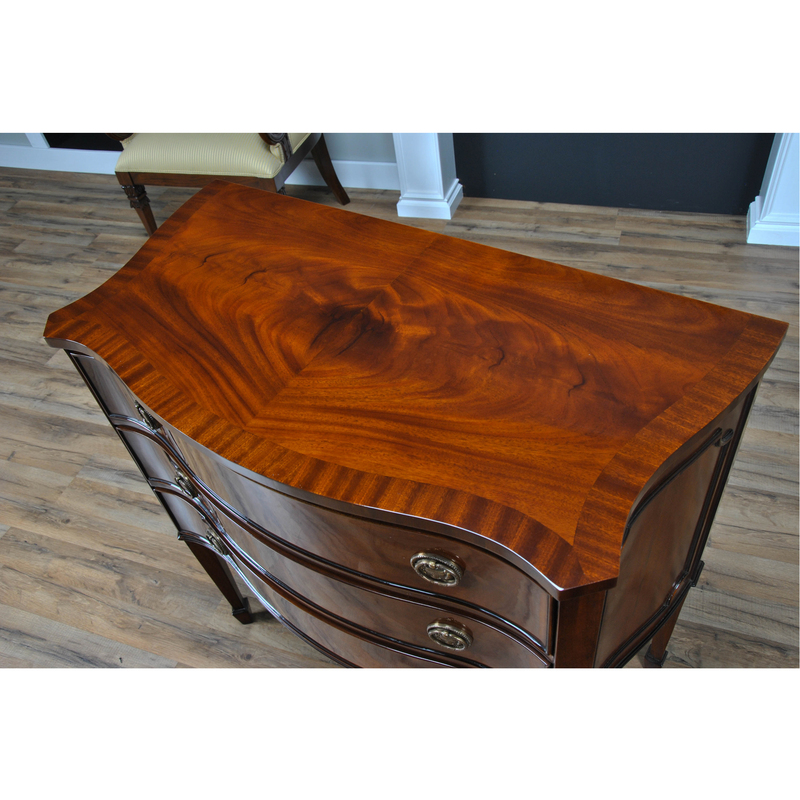 Produced with fine grain mahogany solids and great quality veneers our Mahogany Hepplewhite Chest is both decorative and refined. 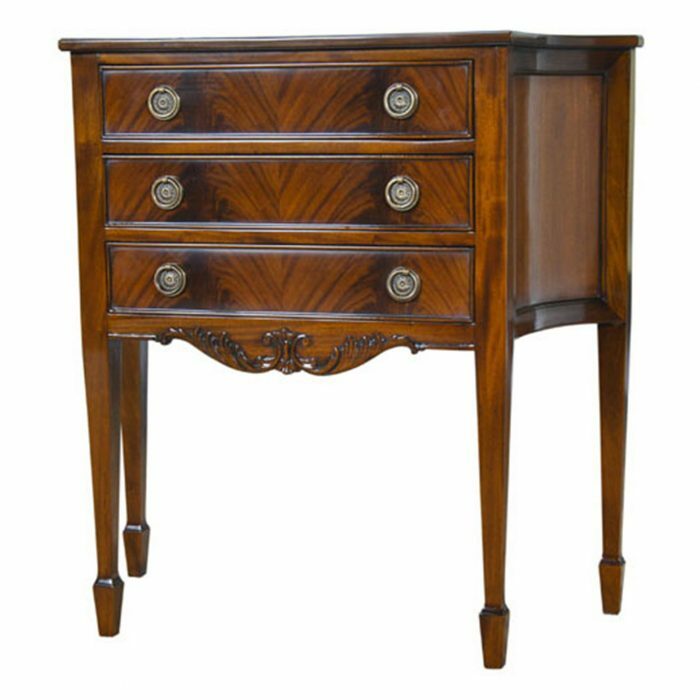 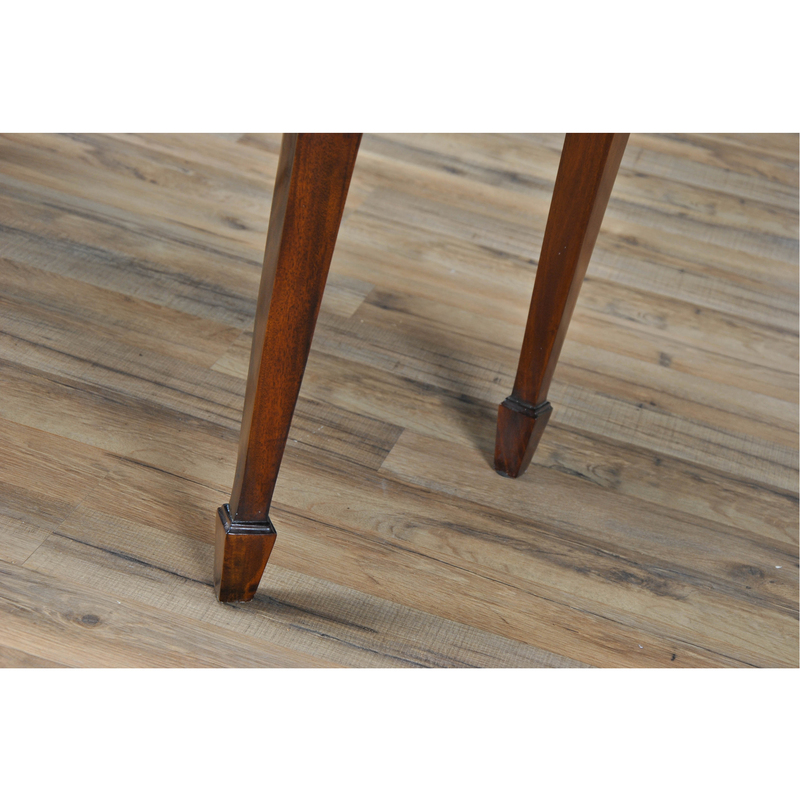 From the banded top to the serpentine front and sides and on down to the tapered solid mahogany legs ending in spade feet this chest is a reflection of your good taste. 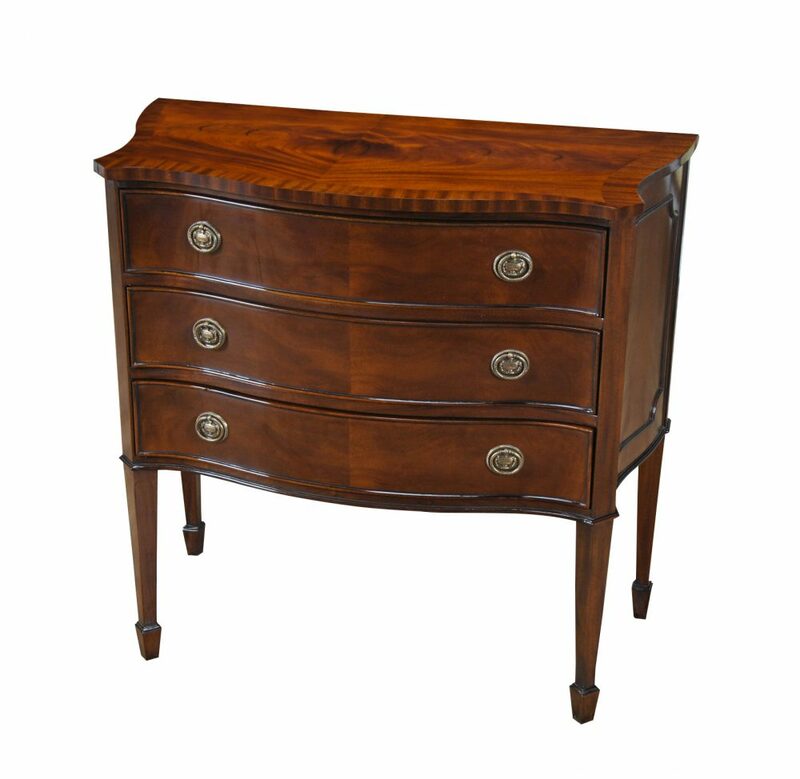 Useful in many settings throughout your home.